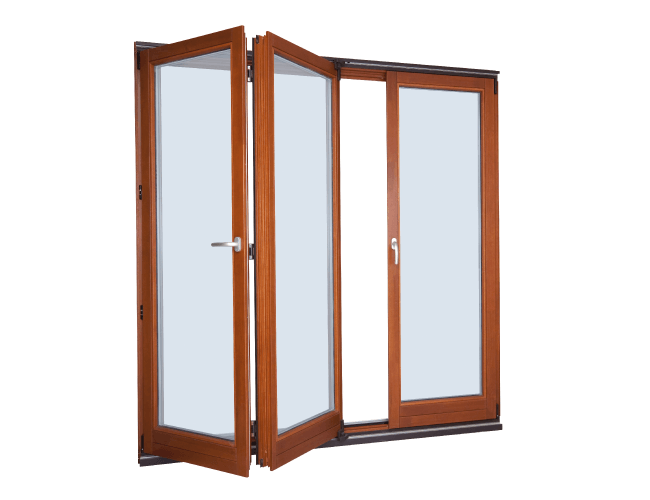 Folding sliding bifold doors open inwards or outwards. 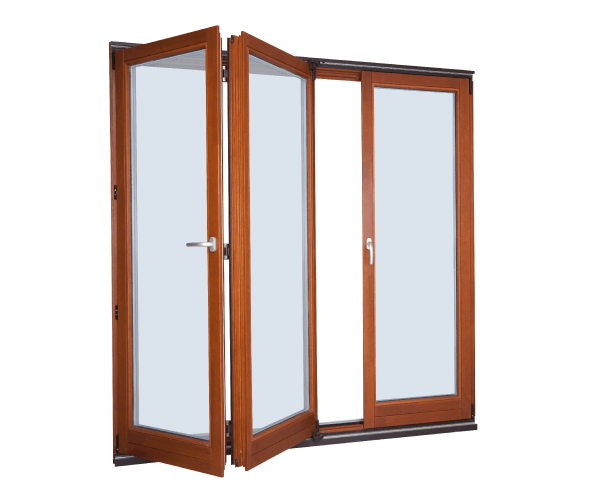 Our doors are made from high quality pine laminated wood, oak or meranti. The surface of the doors can be covered with high quality acrylic paint in any RAL colour, NCS colours with visible wood structure are available.